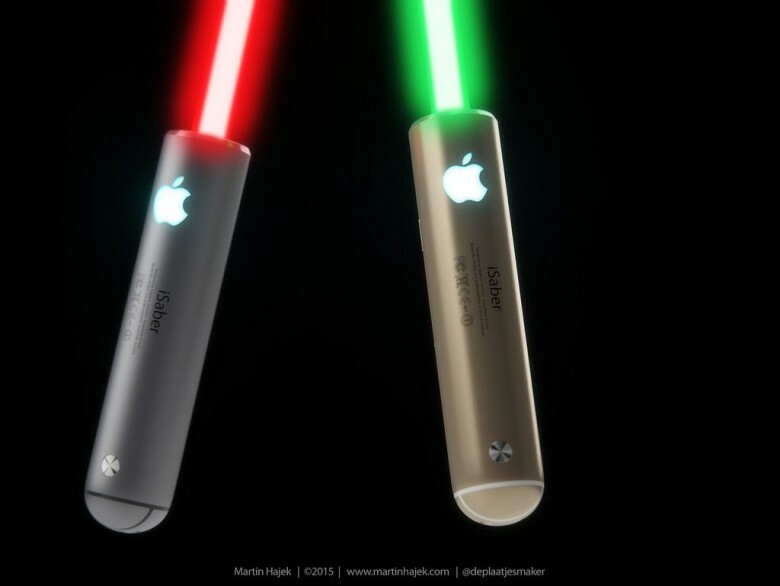 What if Apple made a lightsaber? In his breathtaking profile of Jony Ive in the latest issue of The New Yorker, Ian Parker drops a bombshell. You know that crossguard lightsaber in J.J. Abrams’ new Star Wars movie? The gnarly, rough-around-the-edges one seen in the latest trailer? You can give Ive credit for inspiring it. That got Martin Hajek thinking. 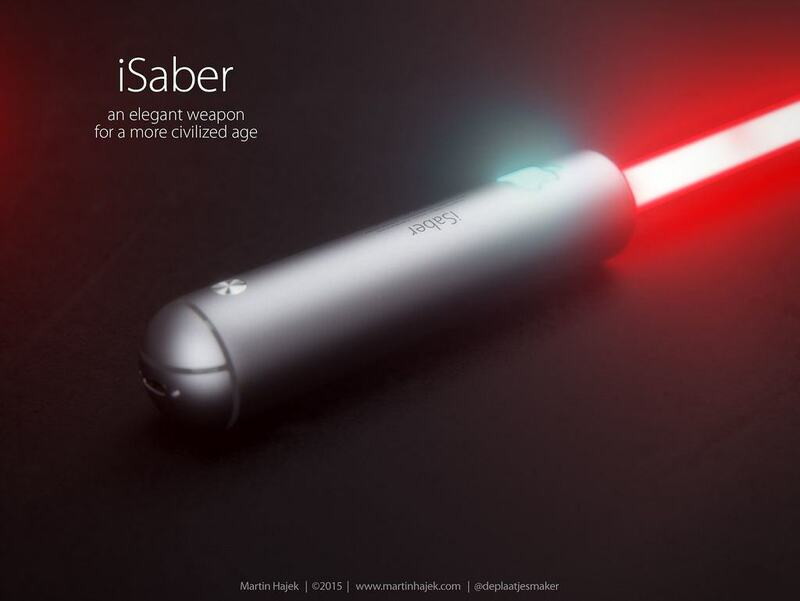 The Dutch CGI modeler, who always loves rendering potential Ive designs, wondered what it would look like if Apple produced a lightsaber. 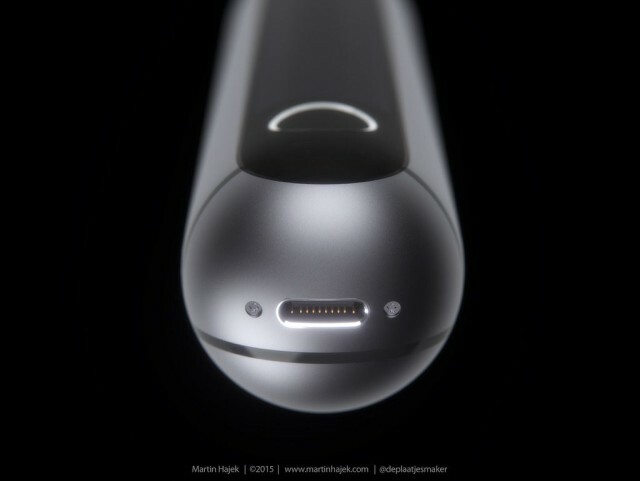 Not something rough and spitty, but just as refined as any other Apple product. And so, the iSaber was born. Like all of Hajek’s work, this brings a smile to my face. 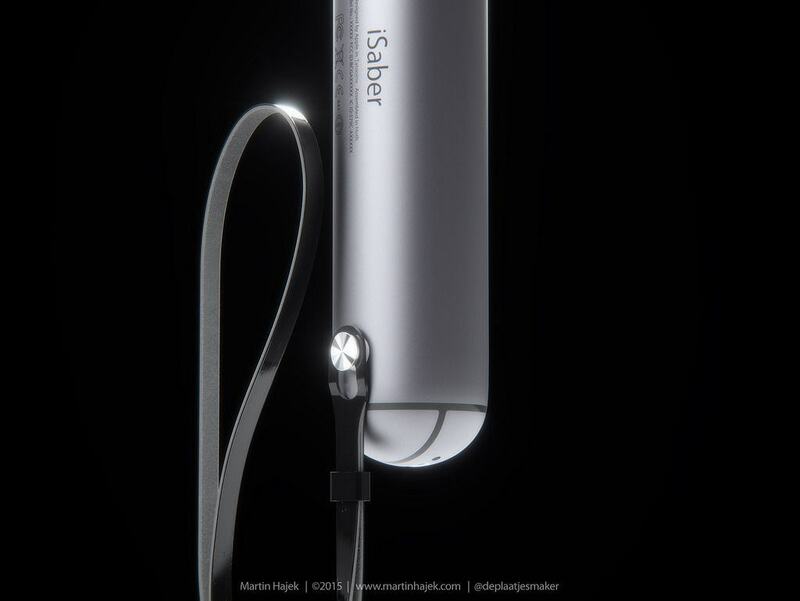 I love all the little details that make this so whimsical, like the brilliant Control Center at the bottom of the iSaber’s screen, which contains a camera and flashlight buttons. 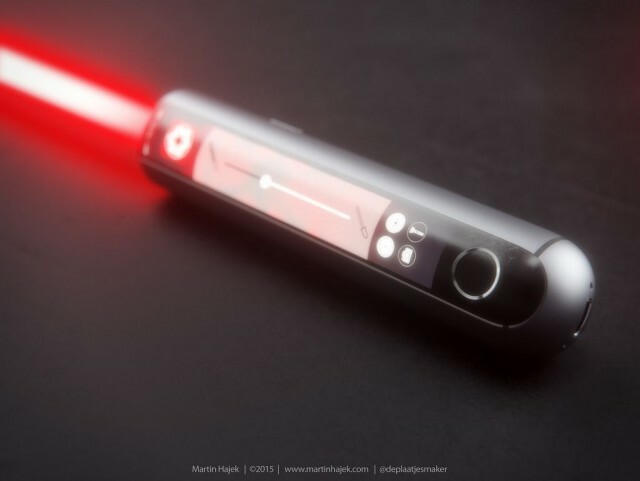 And is that a Lightning port at the end, to make charging your lightsaber as easy as charging an iPhone? Brilliant. Genius. Check Hajek’s site for more pics!